January is traditionally the time for making New Year's Resolutions – and the world of Conversion Rate Optimisation (CRO) is no different. So to get your 2015 off to a cracking start, we've prepared eight actionable New Year's Resolutions to help you hone your CRO strategy and increase your online sales. Take a look at our ideas and choose those best suited to your business. And don't forget: if your CRO determination wavers at any point over the next 12 months, we're always happy to offer encouragement and advice. "Switch to Universal Analytics (UA), rather than wait until Google forces the switch in 2016." Why wait until 2016 for all that extra juicy data and insights about customer behaviour on your site? Get ahead of your competitors and make the switch now. Read more about Universal Analytics in our whitepaper 'Three reasons to love Universal Analytics'. CRO is a complex subject. And it takes time to understand how changes to your website optimisation can bring lucrative rewards. Our range of 'how to' guides offer clear, detailed information about particular aspects of website optimisation. They also explain how to use that information to increase your online sales. 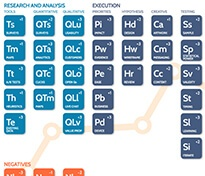 And in 2015 we have guides planned for visitor surveys, value proposition, mobile CRO and conversion funnels. Start increasing your CRO knowledge today. Browse our Conversion Rate Optimisation 'how to' guides. "Understand that split testing doesn't require extra resource, and endless time." Many businesses miss out on the benefits of CRO because they believe that split testing is time consuming and requires niche expertise. Not so. It’s not a major job to add a split testing tool to your site. For example, Optimizely needs just two lines of code – a ten minute job for your developer. You don’t need to do any analysis of the results. Your split tests are presented to you in an easy-to-understand format, with a graph and the ‘before and after’ numbers clearly shown. Still not convinced you can do split testing in-house? Let us persuade you further in our blog 'What to do when your development team are too overloaded to do A/B Split Testing'. "Focus on the best kept secret that is 'Revenue Per Visitor' (RPV)." Because it's not just the number of visitors that buy from your site that counts, it's also how much they spend per order. Looking at both Conversion Rate and Average Order Value gives better insights. RPV incorporates both these metrics to give you a single figure to compare. In fact, only looking at conversion rate could actually lose you money. Read more about CRO's most valuable (and little known) metric in our blog ‘Revenue Per Visitor – The one key metric you can’t ignore when A/B testing'. "Focus on the three power metrics that will help me get juicy ROI from my Conversion Rate Optimisation programme." And no, we're not talking about changing the colour of your website buttons! The three power metrics we recommend will dramatically improve the performance of your split testing. They'll also increase the effectiveness of your CRO programme. Using these three metrics together gives you a compound uplift that can delivers exponentially larger profitable results. Is 2015 the year that your website needs to pull its weight? Then this is the next step to take. 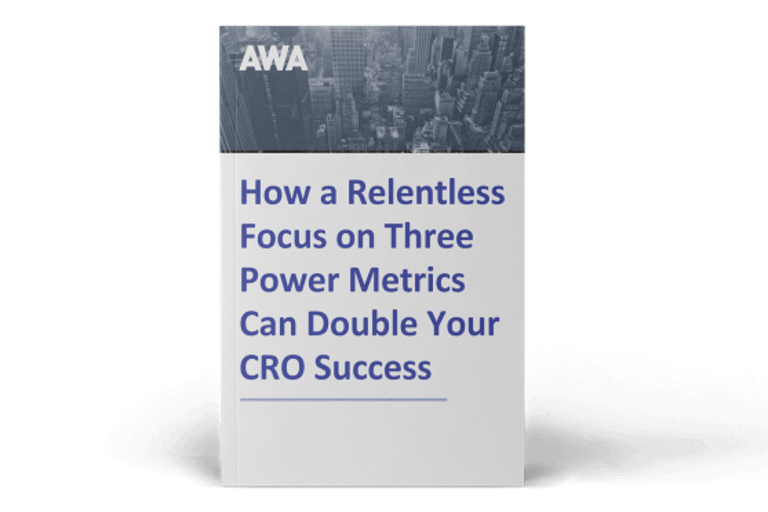 Meet the power metrics dream team in our whitepaper 'How a Relentless Focus on Three Power Metrics Can Double Your Conversion Rate Optimisation Success'. "Stop wasting money chasing more traffic with expensive PPC and SEO, and invest in an in-house CRO programme that converts my existing traffic." It might sound counterintuitive, but you don't need more traffic to get better ROI from your website. After all what is the point of sending lots of people to your site if they don’t buy when they get there? It can be much more profitable – not just in the short term, but in the long term too - to focus on CRO and generate more sales from your existing traffic. So how can you convert existing traffic? To explain how to generate more sales from existing traffic, we've written a whitepaper. 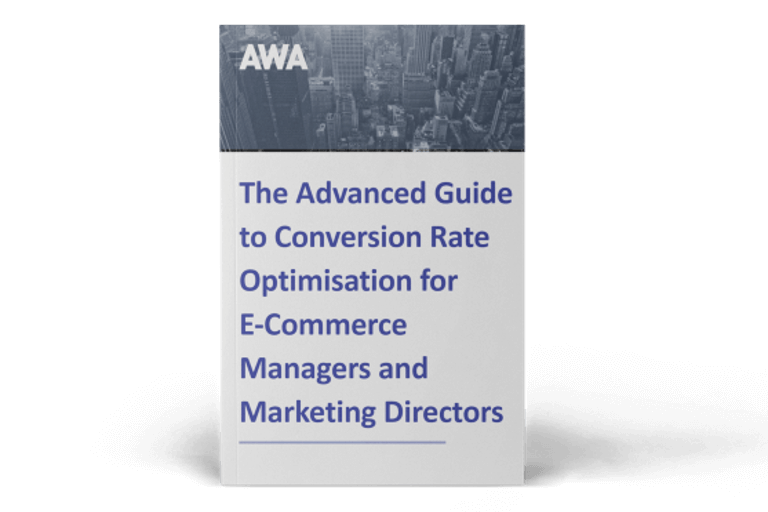 Read 'The advanced guide to Conversion Rate Optimisation for e-commerce managers and marketing directors'. "Start preparing for the Christmas rush... in January." Although the turkey is barely digested, it’s never too early to plan for the Christmas 2015 sales rush. An unpalatable thought? Maybe. A CRO top tip? Definitely. Test during normal trading, when less is at stake. So starting early is essential to ensure increased sales for Christmas 2015. Thankfully, playing festive music while you split test is not a requirement. Find out more in our blog 'Five steps for a smashing e-commerce Christmas'. "Increase online sales FAST, and sustain growth throughout the year." It doesn't make business sense to delay increasing your online sales. Get started now with instant fixes that will quickly take your sales up a gear. Get 2015 off to a sprint start with our new Services for Small Businesses to increase your online sales. Over to you. What are your methods to increase online sales in 2015? Congratulations for sticking with us to the end! That shows true dedication to improving your online sales, and increasing your CRO knowledge. And we hope you've found at least one resolution that's relevant and helpful for your business.